The Tungus Ewenki - also known as the Khamnigan Ewenki - are one of four people groups combined to form the official Ewenki nationality in China. Each group speaks a different language and has varying customs. It is believed that the Ewenki were originally tribes or clans in Russia who migrated into China at different times 300 to 400 years ago. Approximately 1,000 of the 1,600 Tungus Ewenki are able to speak their language. One scholar describes the language as "endangered in China and possibly extinct in Mongolia and Russia." For now, it is still spoken in the homes of two-thirds of Tungus Ewenki children, most of whom can also speak the local variety of Mongolian and Chinese. 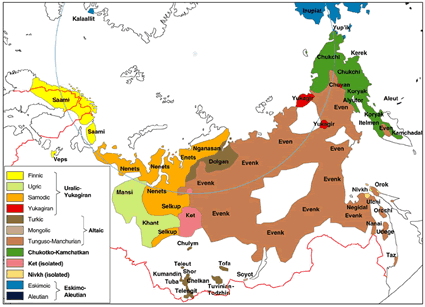 The forefathers of the Ewenki lived in the forests north and east of Lake Baikal in Siberia and along the upper reaches of the Heilong River. They had a close relationship with the Northern Shiweis during the Northern Wei Dynasty (AD 386-534) and the Ju tribe at the time of the Tang Dynasty (618-907). 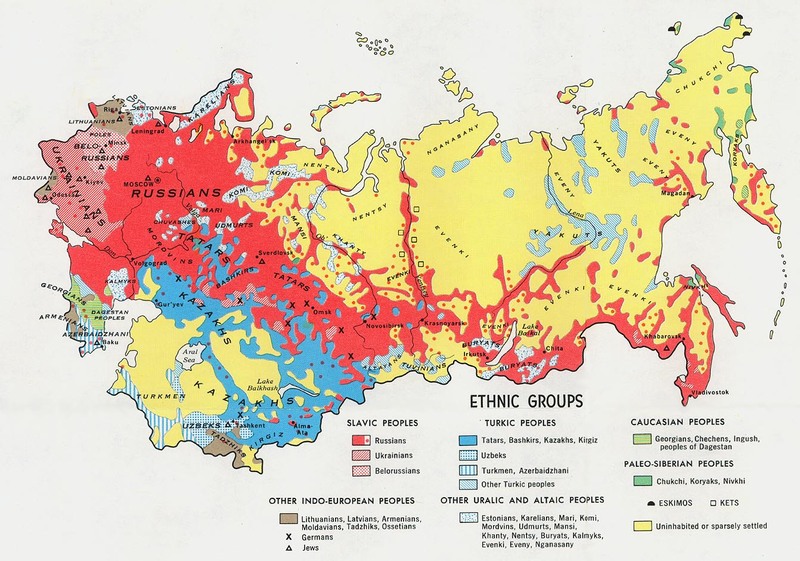 "In the mid-1600s, aggression by Tsarist Russia led the Qing government in China to move the Ewenkis to the area around the tributaries of the Nenjiang River in the Hinggan Mountains. In 1732, 1,600 Ewenki soldiers and their dependents were moved to the Hulunbuir grasslands." The Tungus Ewenki live in nimor, or clans, which are groups of three to ten blood families. Some Tungus Ewenki live deep within the forests. Others have chosen to live on the grasslands where they have been influenced by Mongolian culture. Many of the Tungus Ewenki who have experienced prolonged interaction with Mongolians have been converted to Tibetan Buddhism. The remainder practice shamanism, an ancient form of witchcraft and spiritism. 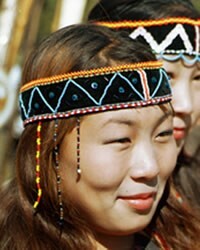 The Tungus are also the only Ewenki group in China known to contain Christians. Various sources agree that there are approximately 100 Ewenki Christians in Chenbaehru. The Tungus Ewenki believers are members of the Eastern Orthodox Church. However, "because of the profound influence of Shamanism, they worship the statue of Jesus and other idols together. Priests of the Eastern Orthodox Church also participate in the religious activities of the Ewenkis." View Evenki in all countries. Location in Country: Siberia, most in Sakha (Yakutiya), and Krasnoyarskiy Kray; also in Irkutskaya Oblast’, Buryatiya, Zabaykalsky, and Amurskaya Oblast’; Pacific coast settlements, Magadanskaya Oblast’, Chukotskiy Avtonomnyy Okrug, Khabarovskiy Kray, Kamchatka, and Sakhalinskaya Oblast’.